Casanova will be your best friend! 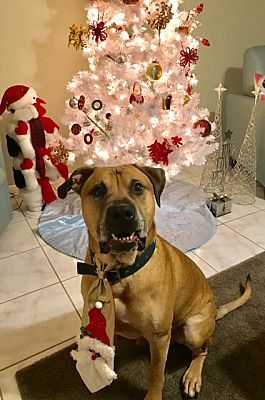 He is a large, 3 year old, high energy American Staffordshire/Boxer/Chow mix per DNA test! Casanova loves to play with you and his toys, he loves to be right by your side, and he loves to chew on his nylabone for down time. He is such a sweet boy who loves to give you kisses & did we mention how much of a gentleman he is on a leash? 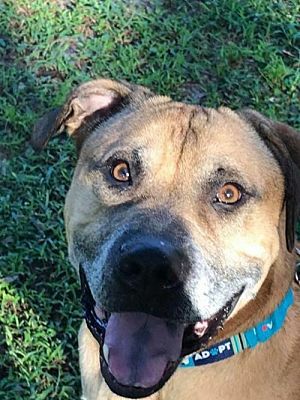 Casanova would love his own furever home, after having a rough life having ended up in the shelter with Heart worms to be shortly on death row. Casanova was rescued and now is all healthy, up to date on his shots, and neutered. Casanova is such a sweet boy and would love a family to call his own! Won't you give him a chance? Click here to return to the list of our dogs.